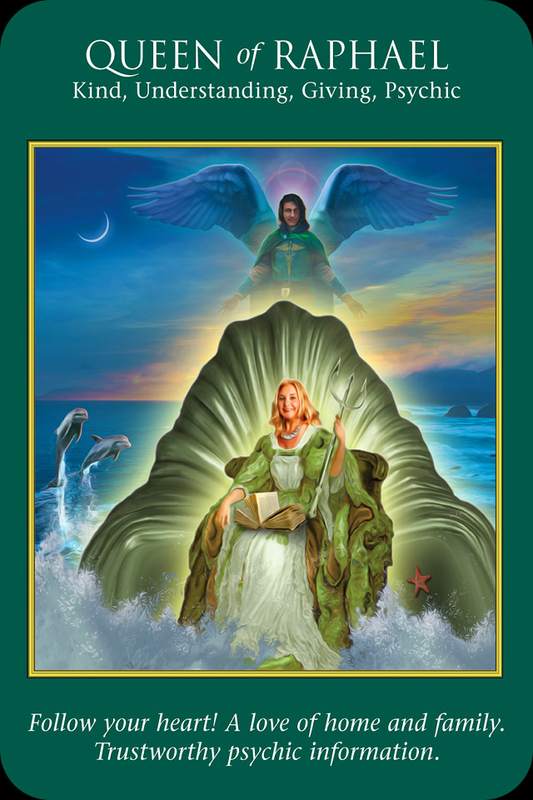 February 24, 2014 bcalvanocoachingLeave a Comment on Weekly Angel Oracle Card Reading for February 24 through March 2. Weekly Angel Oracle Card Reading for February 24 through March 2. For Monday and Tuesday we have the Queen Of Raphael: Follow your heart! A love of home and family. Trustworthy psychic information. You are receiving messages from your angels! Trust them. They may come as thoughts, dreams, visions, feelings, words you read on a page or billboard or in a song. There is also a need for more self care. As we are releasing and healing ourselves with this Mercury retrograde, follow any instructions you are guided to take to modify or change your diet, exercise or even with let go of people in your life that no longer serve you. It may be time to to detox from caffeine, alcohol or sugar and perhaps sign up for that meditation or yoga class. Trust yourself. Your relationship to yourself is deepening and also to others. Raphael is supporting you with your health and emotional changes. 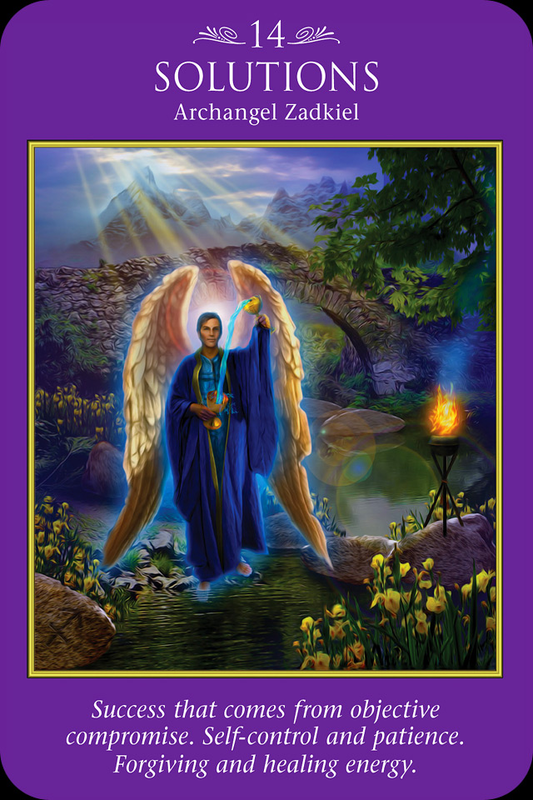 For Wednesday and Thursday we have the card, Solutions with Archangel Zadkiel: Success that comes from objective compromise. Self-control and patience. Forging and healing energy. A continuation of the last message for healing ourselves and for being aware of messages from our angels for solutions to questions regarding any area of your life. Solutions are being presented and we are asked to consider to go outside the box or our regular comfort zone. Forgiving ourselves is really important here if we have been overly critical and judgemental of ourselves and progress. Zadkiel is helping us find balance in our lives from all the stress we may have been experiencing. Take some time to go within as in meditation and with breathhing (yoga). Know that any stress that is occurring will pass. Here again we are being guided to notice how we are reacting to stress and worry in our lives. Give all your concerns over to the angels! Bring your focus and attention only to that which you truly want to manifest. By the law of attraction you will attract and create that which you are thinking about! Remember to ask Archangel Michael to cut your cords to any attachment to lower energies, emotions, thoughts, and even other people. Shielding is very important this week. Visualize yourself surrounded by a bubble of purple or pink light. Surround yourself completely from the top of your head to the bottom of your feet. This will protect you from absorbing any unwanted energies from others just as an umbrella protects you from the rain. Release all feelings regret, guilt or anxiety over to your angels. Keep your thoughts on the positive and exact vision you want to manifest. 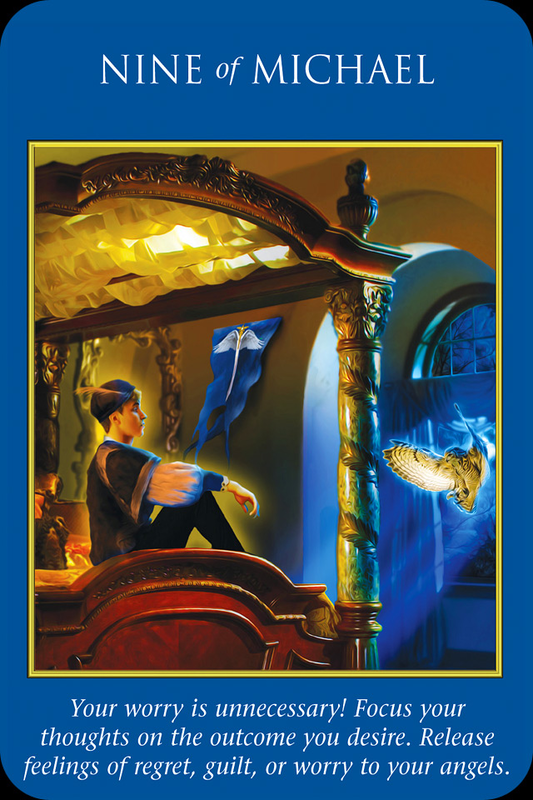 Previous Weekly Angel Oracle Card Reading for February 17 through 23. Next Saturday March 1 4pm EST LIVE show on Blog Talk Radio!! !